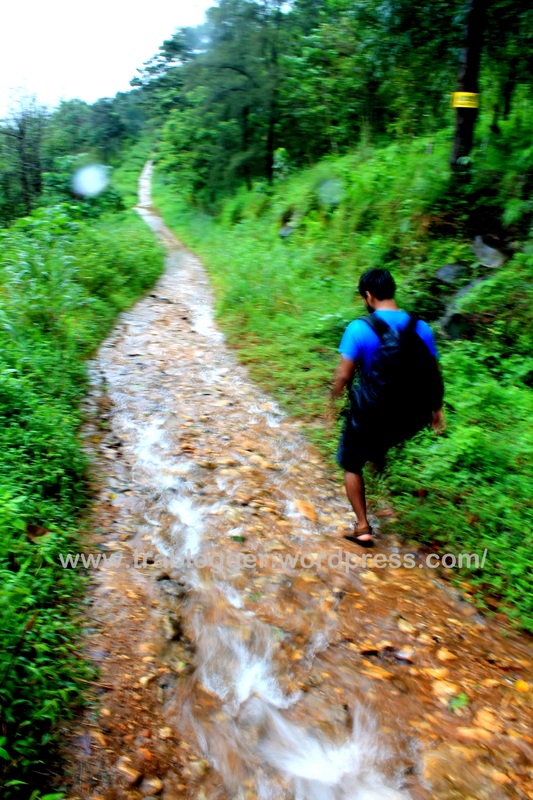 It was in 2014, I did my first trekking during the monsoons. 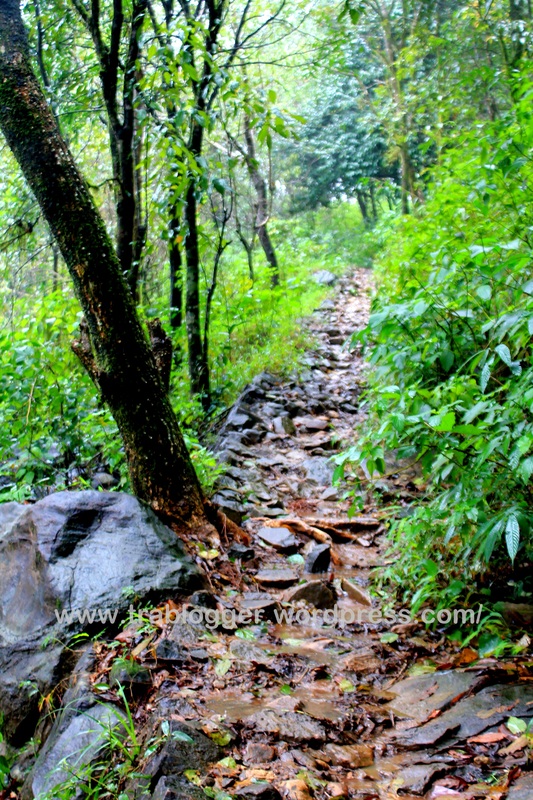 Many people either conveniently avoid trekking in the rain or not even think about it at all! But once you do that, it is altogether a new experience. Nearest town where you can get a direct bus to this places are Kannur and Payyannur or Thaliparamba in between these two. Nearest railway station is Kannur or Payyannur. Get a bus to Pottemplavu if not to Kudiyanmala. 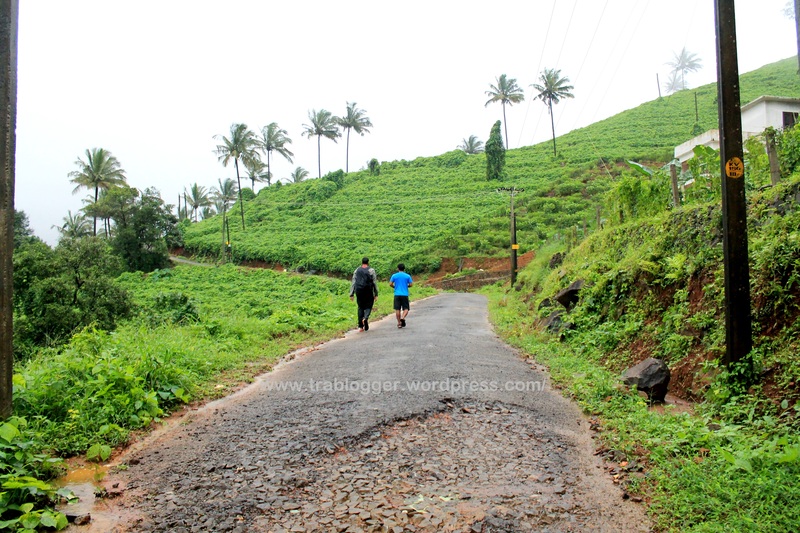 Pottemplavu village is where the Paithalmala hill station is located at. 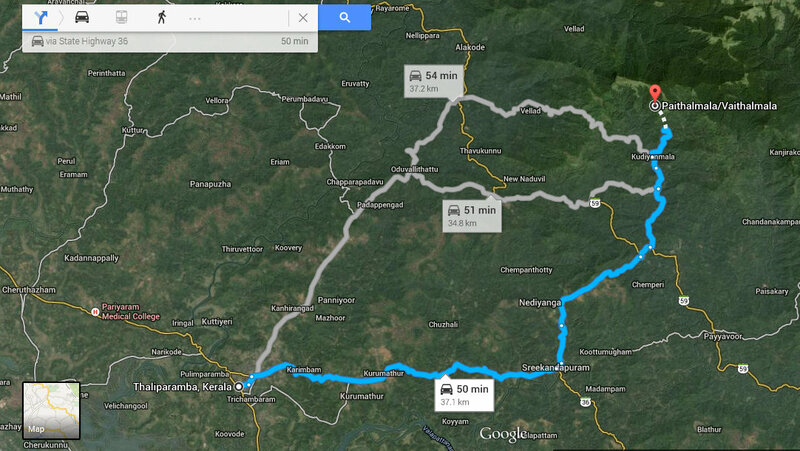 In this map, route from Thaliparamba is shown. 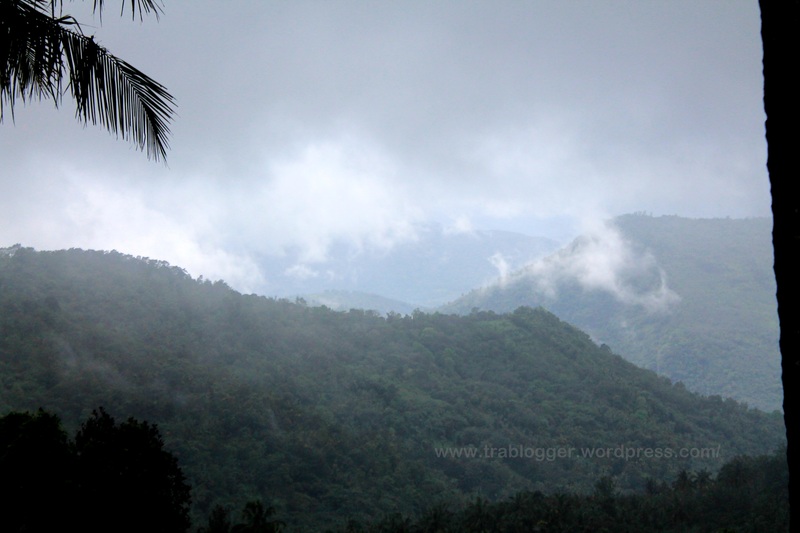 So we started off from Kannur. After bus hoping we reached Pottemplavu bus stop. 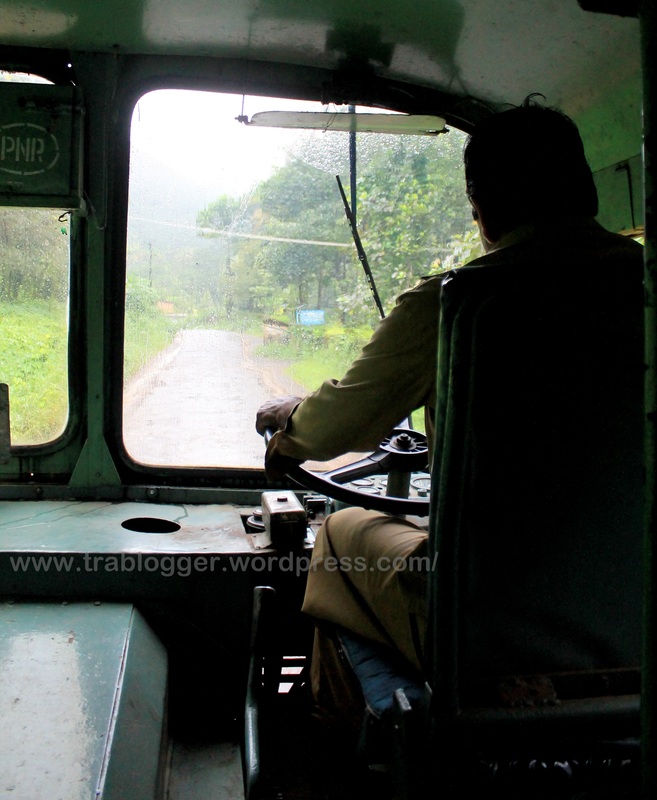 The KSRTC bus ride to this place itself is beautiful, not because of the quality of the ride 😉 because of the lush greenery all around. Anyway we reached Pottemplavu. From there to reach the starting point of the trek, you have to travel a couple of kilometres. If you have a vehicle with you, it saves a lot of time and money. Seeing our back packs and all, autorickshaw drivers started offering us help, in return they were doing a highway robbery. Taking a jeep till the base was even more expensive. So we decided to walk all the way till the base! It was already raining randomly. So we put on our raincoats and got ready for the ‘trekking in raining’. It was my first experience and I was all excited about the trek. We started walking to the base. 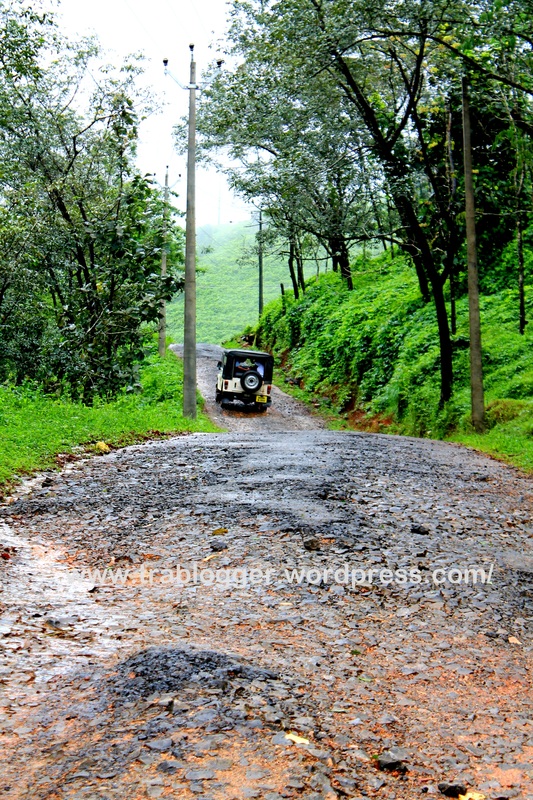 There is a ‘well maintained’ road till the Paithalmala valley. We enjoyed walking through this beautiful place. It was so green everywhere and it was drizzling. But it felt like an eternity! We were walking and walking and we couldn’t reach the valley. As the mobile network was a rarity, we couldn’t check the maps. Without losing hope we kept on walking. The road was getting steeper and steeper to add to the frustration. After all we were there for trekking! So we stopped complaining and kept on walking. The amazing, fog filled beautiful scenery kept our spirits high. It was a foggy and beautiful day. As it was raining, sun wasn’t disturbing us much. The drizzle made it more charming. And we started to see the first signs of the valley. The tarred road turned into a red road combined with mud and water. That place is good for parking your vehicle if you are coming by your own vehicle. Hopefully it will remain safe, as there are no one to keep a watch or guard it. My seemingly smart move of putting the camera inside a transparent polythene cover to shoot from it, didn’t quite work out! The water particles sticking onto the cover made it difficult for the camera to auto focus. Manually focusing from inside the glass paper cover was out of the question as there wasn’t enough room for my hands to go inside. So I waited for the rain to stop or for the drizzles so that I can operate it quickly and put it back. I wish I had a weather proof camera! 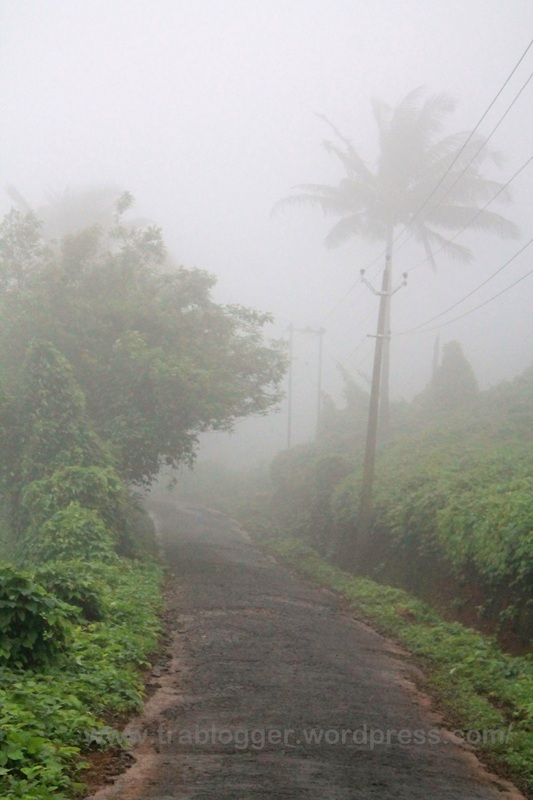 The atmosphere started to show the signs of a hill station. Water streams were running. Bigger trees started to show up. The place was covered with leaves and twigs. It was time for me to try some slow shutter shots ‘quickly’. We were completely immersed ourselves in the changed atmosphere. 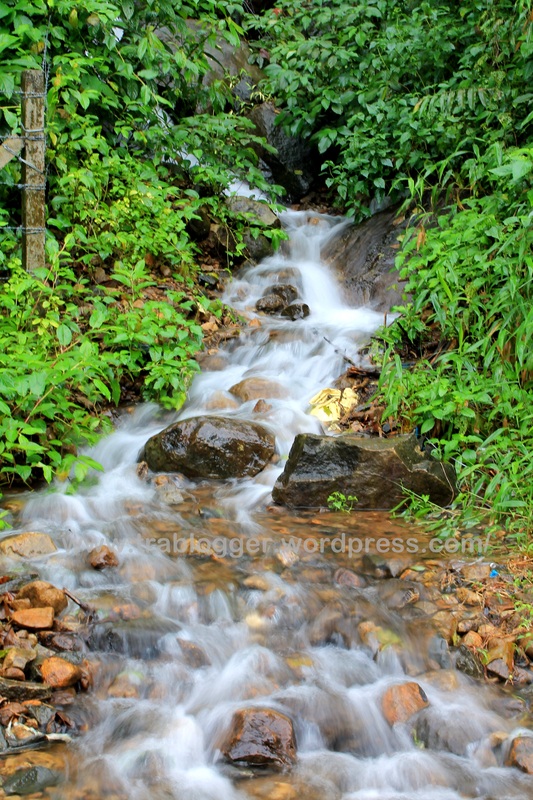 As you walk into the this area from the road, it gets dark, the silence is taken over by the sound of the forest, the sound made by the swiftly cruising water stream, the chirping of birds and various other things. The trekking trail was visible even though grass and plants started to grow. And a path was made, by the forest department I believe. Whoever has done it, its really a wonderful thing to do. 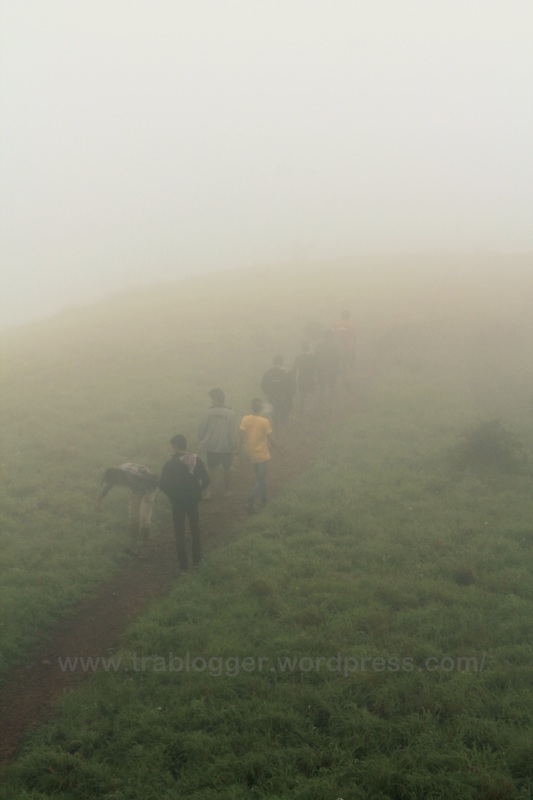 We were struggling to go up in the hills while some people were going up and doing the hardwork of making a path! Really need to appreciate such wonderful people. It is always these people who really worked hard, are forgotten behind the shadows of an entity, like the workers of Taj Mahal! Maybe I am exaggerating, but that’s what I feel. And we walked and walked enjoying the beauty around us. Even though it was a forest we couldn’t find any wild animals. We could only hear the sounds made by some birds that too from a distance. We heard that rarely some elephants would come and say a “hey, what’s up”. But we were sure that they were just stories. There was no chances of spotting a wild elephant here in this place, we thought. Until we saw this. See! What we have found!! So from this moment onwards we were more vigilant. Maybe you can say we were bit scared! 😉 We could find the elephant trails all over the place. We were wondering how could a big elephant managed to walk through such a narrow way! We know that elephant can run faster, swim swifter, and charge anything better than us. So we were excited about spotting an elephant, and equally scared. But nothing could stop us from reaching the peak. Its a great feeling to reach the peak. It is for that feeling we do a trek, I guess. Otherwise why would someone go all the way up and come back almost as soon as you reach! Sometimes its better not to think too much and just enjoy the process of doing it. Its always a special feeling to see something like this. This is what I would like to call the ‘ray of hope’. Seeing this we think we are almost there! Yes, we were almost there. But not exactly at the top of the peak. The peak was still away from this point. But it certainly gave some more energy to continue faster. There is a Paithalmala Observatory tower at the hill top. The view from there is incredible. You can have a breath-taking view from here if it is not foggy. Even the fog gives it a the so called paradise kind of appearance. We spent some time here at this tower. This tower is not at all well maintained. Its almost in ruins and the garbage all around. This view might give a bit of negative vibe, but you just need to focus your attention towards the outside view to forget it all. We unpacked our bags and had some lunch, or at least we called it as our lunch. What we bought was some bananas and biscuits. 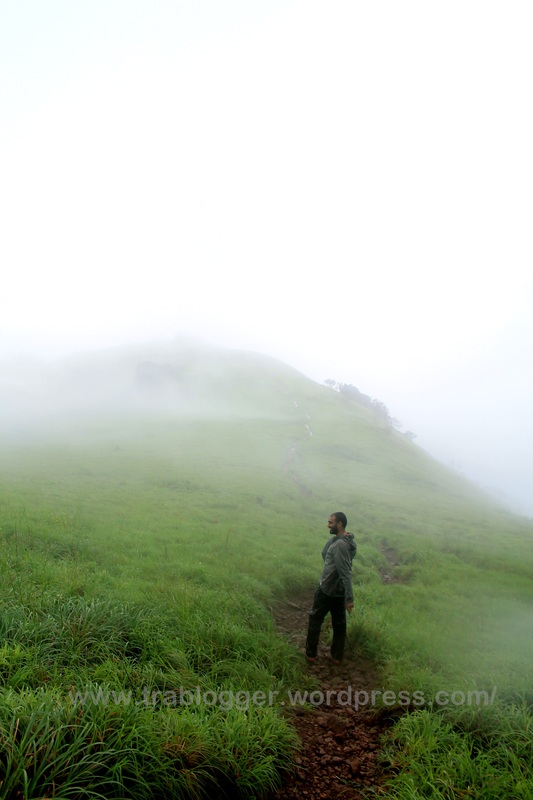 With whatever we had, we refilled our energy reserves, enjoyed the amazing fog filled view of paithalmala. Many people stop their journey here and return to the base after reaching this spot. 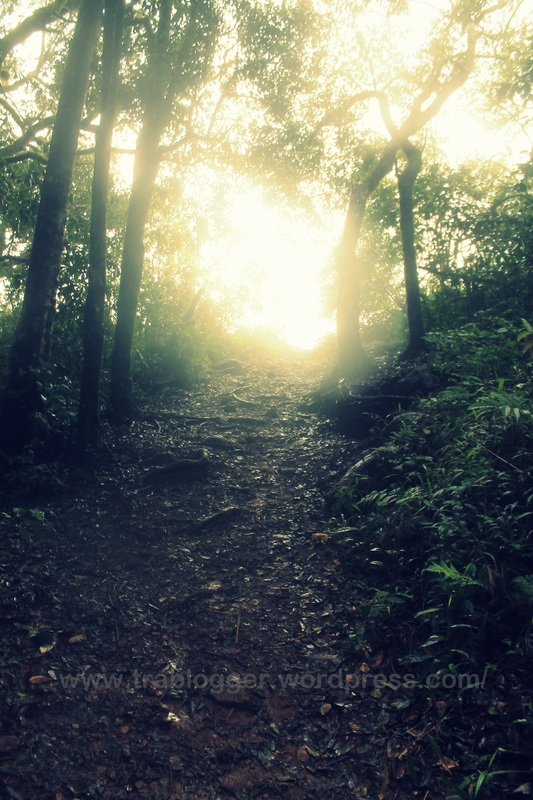 But from here, you can do a little bit of trekking and can have an even more beautiful view. We met another team who had already summited the peak. They were having a grand lunch. They were a big group compared to us. They even offered us some food. The friendship you make while on road happened to be always special. These kind of moments of happiness make travelling interesting. We said bye to the team and started to move. As it was completely filled with fog, we couldn’t see the beautiful valley from there. We took some more snap, a few group pictures with the timer and we returned. The return journey was rather quick and less eventful, except that we spotted a few leeches on our feet! We were absolutely unaware of the presence of leeches when we were going up. It was really surprising that leeches didn’t want our blood when we were going up! Glad that they decided so, as we were completely unprepared for the leeches. We even forgot to take salt. Anyway only a few leeches came to attack which were promptly flicked away. 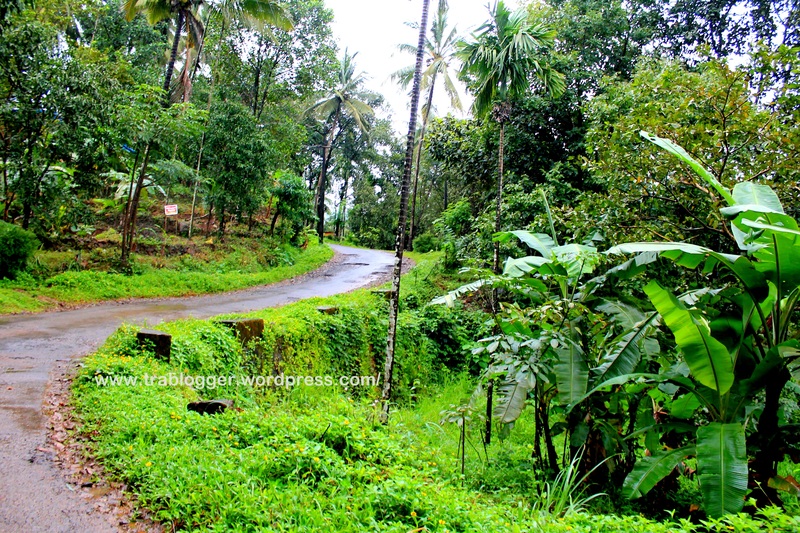 If you are looking for very cheap one day trip, this is a best place if you are near Kannur. 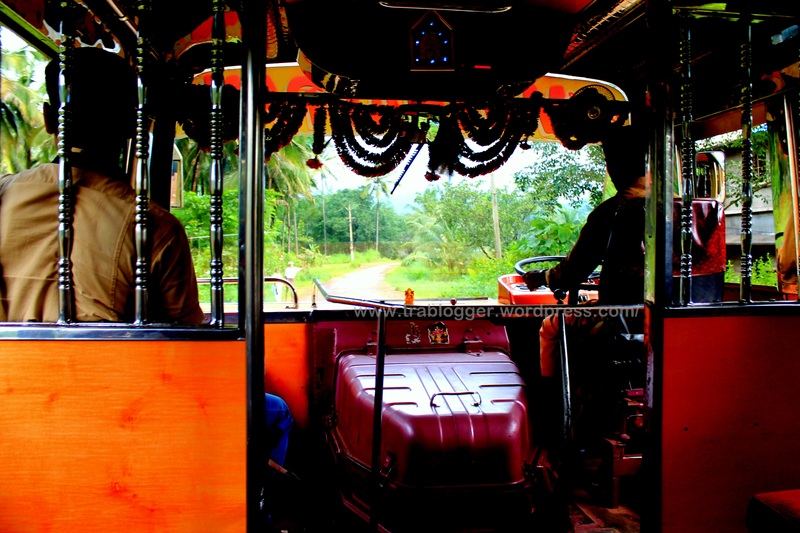 You can still have a awesome and cheap trip, if you take a train to Kannur or Payyanur and then take bus from there on. Maybe you can camp on hilltop if occasional elephants wont scare you. It is also possible to find some drinking company at hill top!! (even though it is not legal). Hope you will share your experience, if you visit the place. Murudeshwar: A retreat for everyone! This looks like a really great walking trip. The photographs are really lovely. Thank you. Yes, it was one of the coolest trip I have done so far. Glad you liked the post and the photographs. Thank you for the links. Your interest range is quite wide! Yes, the music was in my own local language. So it was nice. Glad you loved that image. Yes that is beautiful scene to capture. Well barefoot is not an option because of leeches and other things. i’m salivating viewing the pictures. now i know why i don’t visit much. you make me want to tear up and i’m not that emotional. now i’m really jealous! first i love the rain, i adore stormy weather and hiking is my passion. plus the rides and the surroundings reminds me of home. you lucky, lucky man! i envy you! I can relate… although, at least, you’ve been able to snap a few shots between moments of rain… I just trekked to the Lost City in Colombia and it rained sooooo much, I feared for the camera (and my cell phone actually drowned from so much rain in my shorts pockets!). But YOU were able to catch the atmosphere, that eerie feeling after the rain, when the still warm earth fumes with the wetness of the rain… I love your pictures! 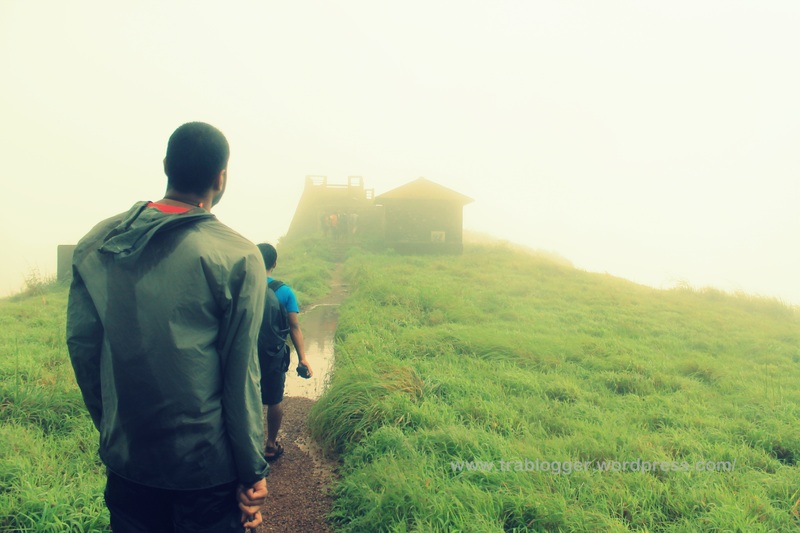 this trek must stick in your favorite memories, doesn’t it? Wow. you portrayed that atmosphere with your words!! Amazing! Well even I was afraid of my camera. So I kept in a transparent plastic sheet. But couldn’t take photos from inside the sheet. Somehow I was lucky to click a few shots. Definitely it was one of my favourite memories. I did another trek in the rain too. 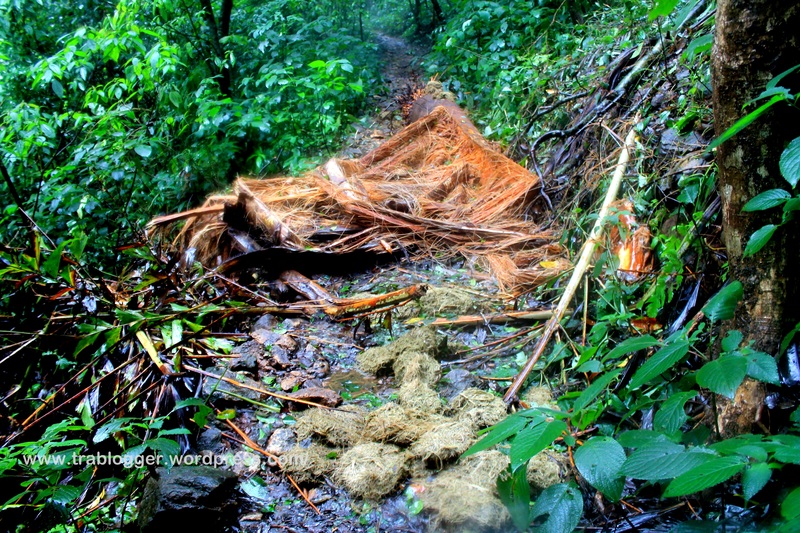 But that was heavy rain and couldn’t take out my camera, and I am still sad about it!! well, I tried… I don’t think I’m any good with words either… but I sooo wanted to share the beauty of the trek to the Lost City, that I did my best. thanks for showing me around your blog. it’s a gem! and you’re only starting?!? wow. I just finished reading your adventure in the rain. Awesome it is! 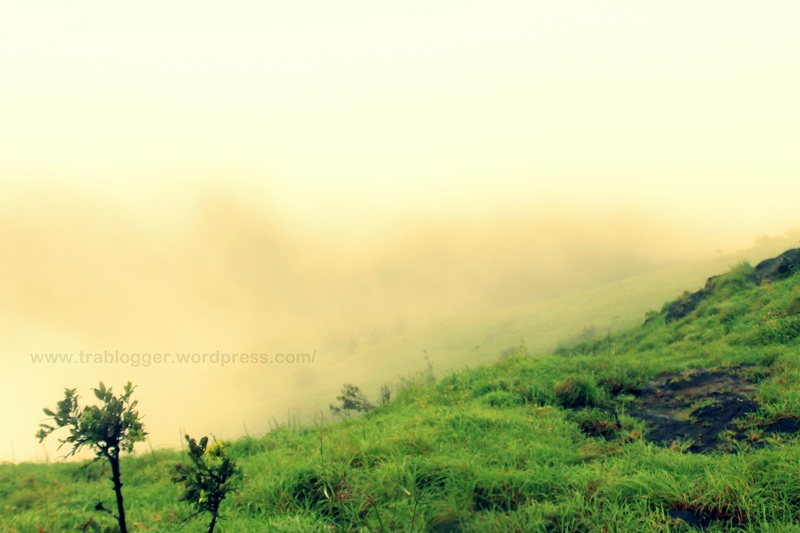 I am amazed looking at the photos of fog and beautiful raylights..must be delightful hiking experience! Thank you for sharing such beautiful images. I love the fog and the sureal quality it gives to things.